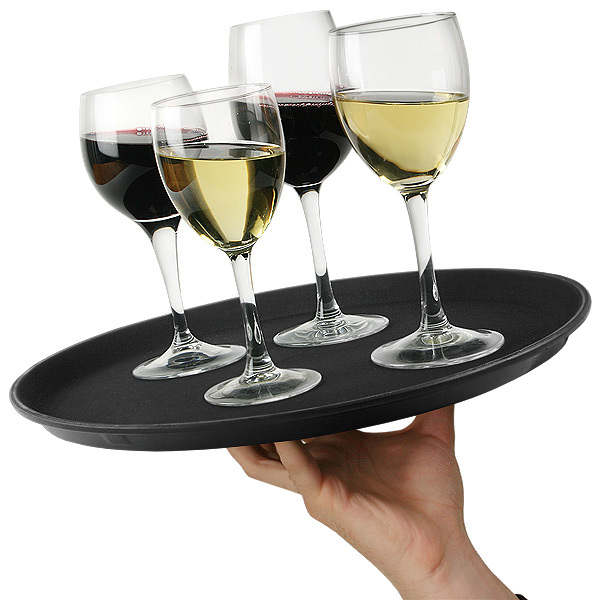 When hosting a party, it's simply not practical to serve a fleet of wine glasses one by one, so a tray has to come into play to aid your hosting skills. 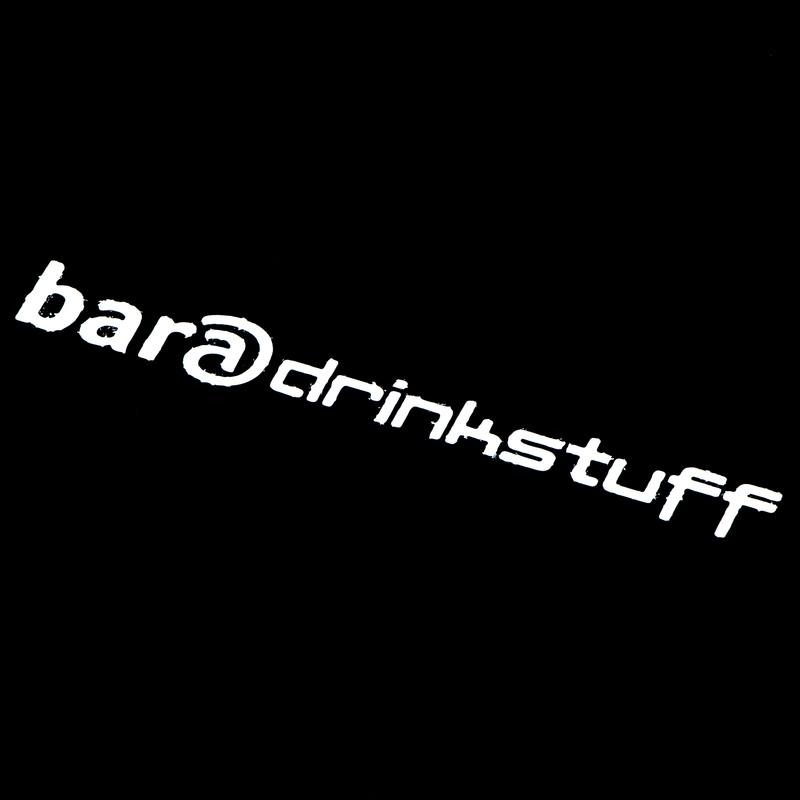 After a while serving drinks it's likely that you'll have a few yourself, and your waiting skills will be compromised! 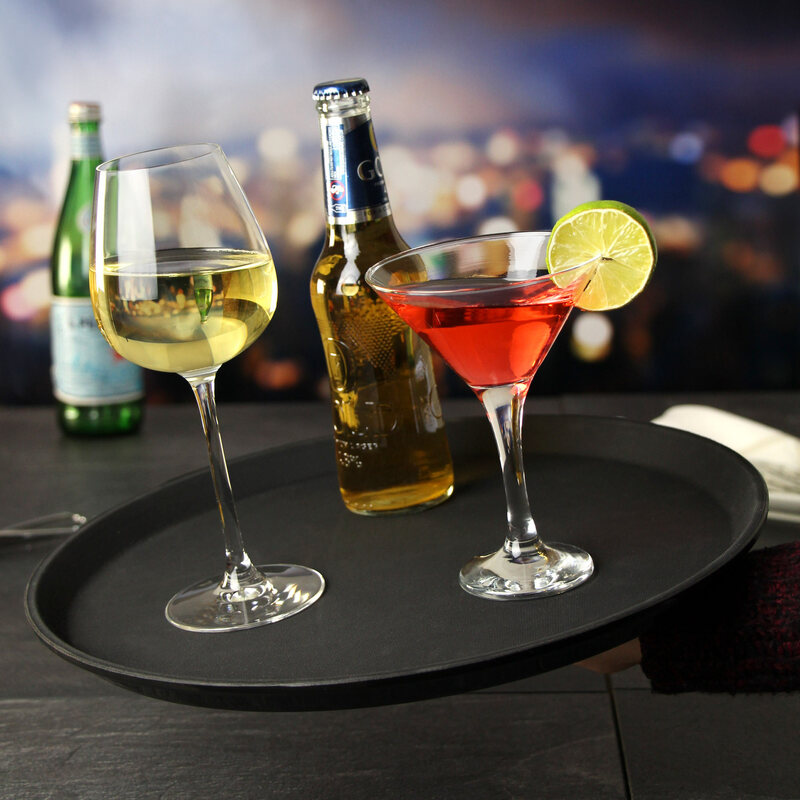 The Non Slip Tray easily aids the prevention of broken glass; with its special surface, this tough, durable drinks tray makes serving drinks as easy as drinking them! A rubber top provides an ideal non-slip surface that manages to magically grip glasses, plates, or whatever you choose to carry. Providing you don't start performing acrobatic feats while carrying the Non Slip Tray, you can be sure that your glassware won't slide around and end up as a feature on your floor! "Brilliant product, brilliant value, brilliant service." "Fast efficient delivery of a quality product. Will certainly use you again." "Exactly what I needed and at a good price"
"I had been looking for a while for a non slip tray that was not too large and this fitted the bill perfectly. My husband can serve drinks without them slipping and spilling all the over the tray. Great for garden parties as well." "Good-sized, perfectly anti-slip, very nice looking! 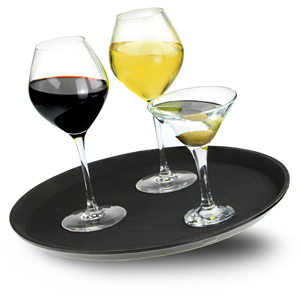 It will give my home a professional look when I grab my cocktails and bring them to my friends on this tray!!"